My photography career started when the Nikon D7000 came out. My first setup was the Nikon with a 400mm 2.8 lens, a Induro gimbal head, and a monopod. When I first started, I really enjoyed photographing birds and other animals. In those days, I didn’t understand the importance of having the right gear and I basically hated my setup. My first tripod was an antique, very heavy, 4 x 5 camera tripod that a friend gave me. I used to mount my gimbal on top with the 400mm lens. This setup enabled me to I start doing long-range landscape shots of the city, nature, and bridges from all different crazy angles. Although doing landscape with the telephoto was a blast, I soon upgraded to wide angle lenses. It was around this time that I was introduced to Really Right Stuff but I didn’t think it was right for me due to the price. Over the years, I’ve been through a lot of different tripods but for some reason I was blind to the concept of getting what you pay for. Until now. I really appreciate the craftsmanship and American made products, especially those local to California. After hearing so much good stuff about RRS, I took the plunge and purchased the TVC-33 and BH-40 head with the lever release. I used it for about 1 year before forgetting on a subway in New York while travelling to the city for the 9/11 anniversary. Immediately when I got home, I went of the Really Right Stuff website and purchased the TVC-34 and BH-55 full-size head. The tripod was on back order at the time but I was willing to wait a couple weeks. I am using my new RRS setup for all my photography and I love it! It’s steady enough to do seascapes and long exposures while still being light enough to travel with me on planes. I took it with me on a Middle East trip this year and was highly satisfied. As for the lost tripod, I filed a claim with the transit authority in New York and four months later they found and returned my tripod, head, and bag to me. IInow have both the BH-40 and BH-55 but I prefer the BH-55. I tend to travel a little on the heavy side with multiple lenses and filter accessories. Last weekend I went to Mount Shasta region and snowshoed up to above Castle Lake. I started around 3AM to catch the sunrise and the images I got were well worth the cold. I was using my Nikon D810 and switching between my lenses from the Holy Trinity (NIKKOR 14-24mm, NIKKOR 24-70mm, NIKKOR 70-200mm). I’m sponsored by LEE Filters so I generally have their awesome products attached. Really Right Stuff’s TVC-34 and BH-55 were able to support my large setup with confidence. From my experience with their gear, I trust RRS as a company and I’m excited to use more of their gear as I expand photographic prowess. I’m learning how to take panoramas and do stitch photography so my next purchase is going to be their gimbal head and a leveling base. I’m excited to learn how to do better stitch photos and having a premium gimbal head will help me get there. I also foresee having a nice gimbal head rekindling my old love for photographing animals. Sunflower Bloom: The anticipation for these blooms comes around late spring / early summer and the crops are fleeting. The first challenge is finding an accessible plot with good flowers, second is finding a good composition. I used the condition forecasting service Escaype to know in advance when the best sunset would happen in that region. It was a bit of a drive for me to get to this location and we had to get there early to plot out good compositions. We left early in the day, around noon, to scout out a good location that would allow access and give a good perspective with the sunset and clouds in the sky. It was not easy to find a good composition at the right time with these fields. The group that went out this day was small – about 5-6 people, and in three different cars. This allowed for us to spread out and scout different locations while communicating with each other. It played out very nicely in the end – but it took the entire day! For this shot I decided to use focus stacking to maximize sharpness for the flowers in the foreground, the tree, and the sky in the distance. I wanted to create a true-to-life image of that moment. Moonlit Fog: The fog in the San Francisco Bay Area is common and occurs in every season. When you can get above it, the view is like nothing else on earth. This image is a single image taken with long exposure. 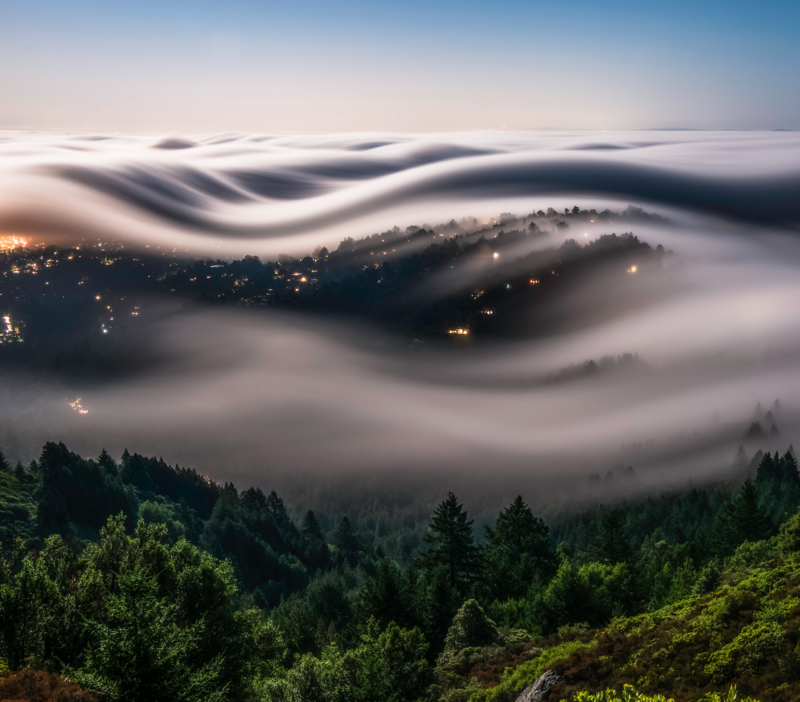 The effect of long exposure on the fog creates the appearance of soft waves as the fog slowly moves. The fog builds up in a bay to the right side of this image and then spills over the hillside. There is usually no wind when it happens and is very peaceful to be above it all. Capturing the fog like this isn’t as simple as just going out and hiking up a hillside. We watch and monitor the fog levels all the time to catch it at the right altitude for photography. I use the chat rooms on Escaype for communicating with other like-minded photographers about the current fog and weather conditions. It’s very helpful to have people who are in the area and use different resources to watch the weather. There are a ton of different Bay Area webcams that are extremely useful to check before heading out to a location. This image was taken on a full-moon night from a hillside in Marin County. Our adventure had started as a sunset mission but we stayed for moonrise because conditions continued to be ideal and the moon was full. Empire State: I’ve been going back to New York for the anniversary of 9/11 every year recently. The tribute lights are a sight to see and meeting up with my friends is always a good time. Through Instagram I’ve made a great group of friends from the New York area. I like how Instagram allows me to interact with people from around the globe, some of which have access to remote locations and otherwise inaccessible spots. 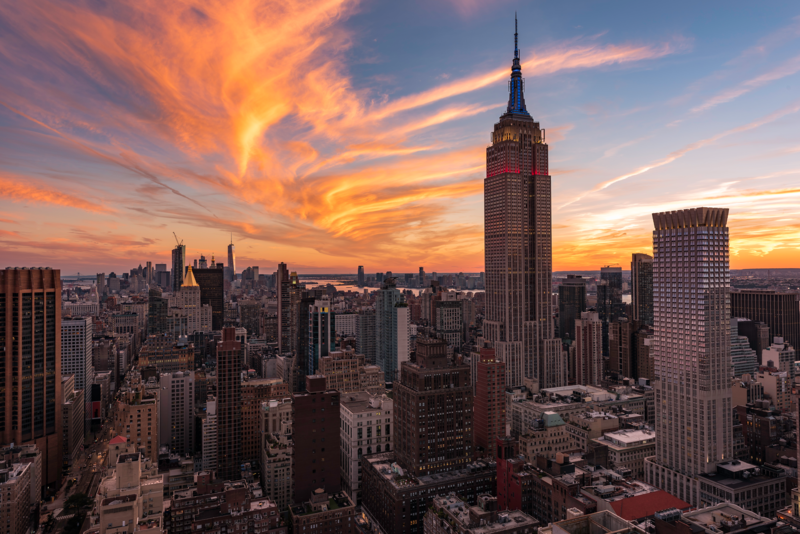 This view is from a building rooftop on Park Ave. A friend of mine had access and our view made that evening truly a sunset to remember. This is a single image with no stacking or blending. Usually I shoot a bracket set and either blend, or choose the best exposure from the bracket set. This image did not require any blending and I let the natural light do the heavy lighting. I was using my Really Right Stuff tripod setup and it was perfect for the challenging ledges and rails. We tethered our equipment to the structure for safety. I have a special insurance policy from Hill & Usher that covers me, my equipment, other people, and the building while on rooftops. I practice safety first! Always. 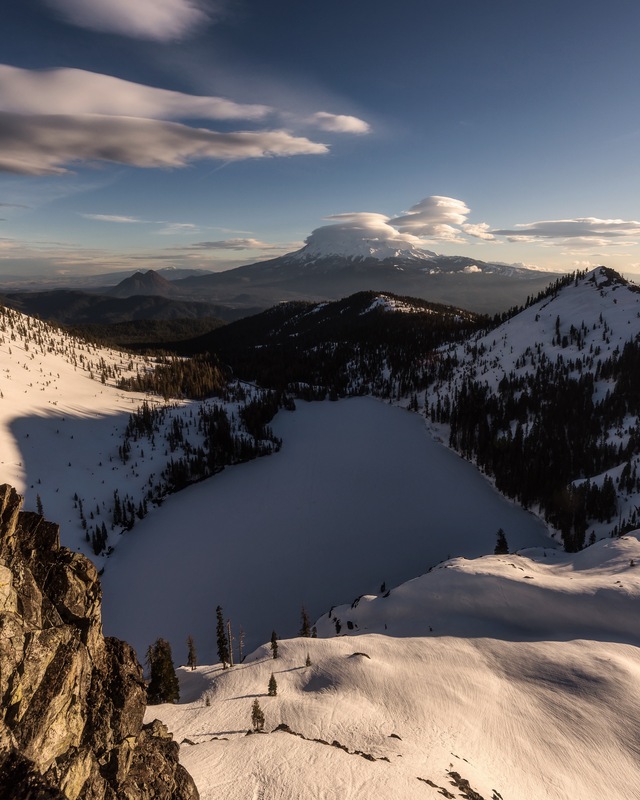 Bruce Getty is a landscape photographer from San Francisco Bay Area. To learn more about Bruce, visit his website and Instagram. Words and images ©Bruce Getty. All rights reserved. Love following your work and social media pages, glad to hear you had the d7000, its the camera i use and love it. Great article Bruce! After following your IG for some time now, i’ve got a great sense of what the SF area has to offer, and am excited to check out the city at some point in the future. I agree wholeheartedly with your RRS sentiments…was definitely a sticker-shock when getting started in photography, but the mantra of “buy-once-cry-once” has definitely paid off as their gear is top notch. Look forward to seeing more! 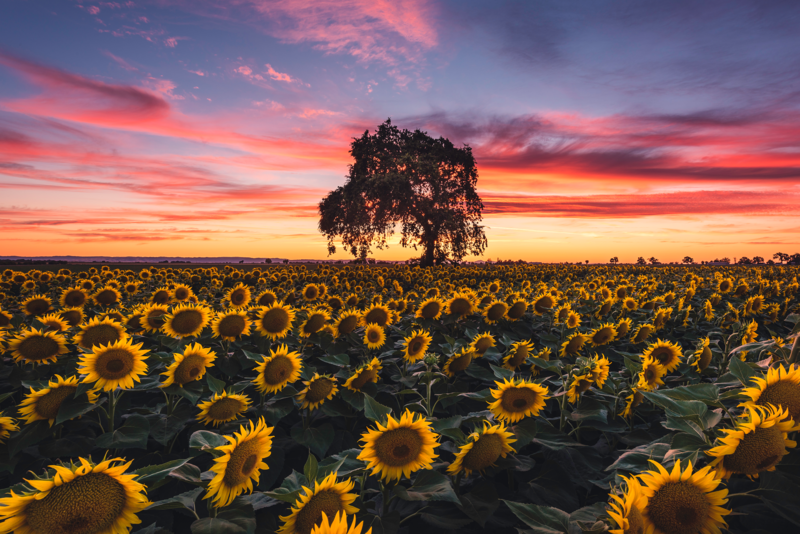 I have trouble shooting sunflowers at sunset because they track the sun and are looking west at the end of the day so when I am looking at the sunset the flowers are not facing me. Do your flowers not do this? Great photography tips this is really a great way to improve photography. I love your works and must say you have really been a great author on photography. Good post.